Taiwan wants to purchase the latest generation of F-35 stealth fighter aircraft from United States. 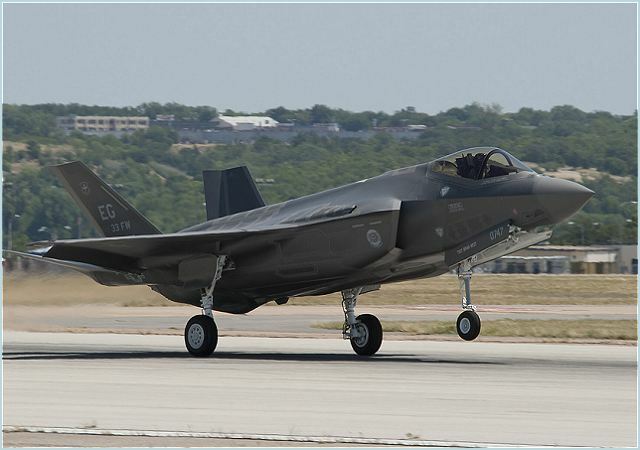 A delegation from the Taiwan-US Inter-Parliamentary Amity Association of the Legislative Yuan said on July 2013 in Washington that Taiwan wants to purchase advanced F-35 jets that best suit its defense needs. Chinese Nationalist Party (KMT) Legislator and association chairman Lin Yu-fang briefed the press in Washington after the delegation's meeting at the Pentagon with US Deputy Assistant Secretary of Defense for East Asia David Helvey to discuss Taiwan's needs for advanced defense weaponry. The delegation also met with US Deputy Assistant Secretary of State for Regional Security and Arms Transfers Gregory Kausner at the American Institute in Taiwan's (AIT) Washington headquarters, Lin said. The lawmakers said Taiwan needs more advanced fighter jets and submarines to enhance its defense, and needs to gain more international space. Lin said Taiwan would continue to push for the purchase of F-35 jets from the US, but should also consider buying a reasonable number of F-16C/D jets to replace Taiwan's aging F-5s, which are expected to be phased out in the next few years. When the US agreed to upgrade Taiwan's fleet of F-16A/B jets in September 2011, it effectively ruled out the sale of the next-generation F-35s, according to Lin. "It would be ideal if Taiwan could purchase the new fighters, which are capable of vertical and short take-offs and landings," Lin said. "But even if the US approves the sale, the global waiting list is so long that it would take 15 to 20 years for Taiwan's order to be delivered." While in Washington, the delegation also met with members of the US Congress, including Senator Benjamin Cardin, chairman of the East Asian & Pacific Affairs Subcommittee, and House of Representatives Foreign Affairs Committee chairman Ed Royce. Earlier, at the UN headquarters in New York, the delegation met more than a dozen of Taiwan's allies who are permanent representatives to the UN.